Joyce Carol Thomas, Berkeley children’s author, dies at 78 by Shradha Ganapathy from The Daily Californian. 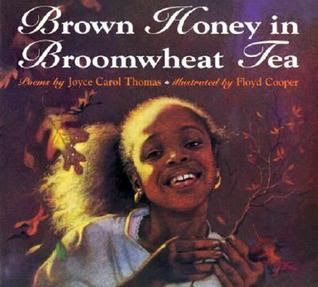 Peek: "Celebrated local children’s author Joyce Carol Thomas — a poet, playwright and winner of the National Book Award — died Aug. 13 at Stanford University (Medical Center)." Obituary: Joyce Carol Thomas by Shannon Maughan from Publishers Weekly. Peek: "Thomas was born on May 25, 1938 in the small town of Ponca City, Okla., where she lived until the age of 10. Her family then resettled in rural California where Thomas learned various farming chores and would work long summers harvesting crops alongside Mexican migrant workers from whom she learned to speak Spanish and developed a love of the language." Joyce Carol Thomas, Who Wrote of African-American Life, Dies at 78, by Daniel E. Slotnick from The New York Times. Peek: "Ms. Thomas wrote mostly adult plays and poetry before the publication of her first young-adult novel, Marked by Fire, in 1982. It won the National Book Award for children’s fiction in 1983." Prize-winning author Joyce Carol Thomas dead at 78 by the Associated Press from The Times Free Press. Peek: "Other works included Bright Shadow, Brown Honey in Broomwheat Tea and The Blacker the Berry. 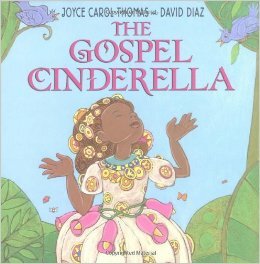 Thomas was also a three-time nominee for the Coretta Scott King award for outstanding children's books by an African-American." Joyce Carol Thomas, children’s author who accented black rural life, dies at 78 by Matt Schudel from The Washington Post. Peek: "Although she had lived in California since she was 10, Ms. Thomas found a never-ending source of literary inspiration in the rural fields and small towns of her native Oklahoma. She sought to draw portraits of black life different from stories in modern urban settings or in the time of slavery." In Memory: Joyce Carol Thomas by Edith (Edi) Campbell from Crazy QuiltEdi. Peek: "Ms Thomas taught for more than two decades at the University of California Santa Cruz, University of Tennessee and at Purdue University. She is survived by children and grandchildren. And, her books."